Finding Dory, the Finding Nemo sequel starring a forgetful fish voiced by Ellen DeGeneres, is on track to have the year’s second biggest opening weekend. You all love it, the talking fish. Not only does Finding Dory’s Thursday night blow away previous Pixar records set by Toy Story 3 with $4M (Friday midnight shows, $110.3M opening) and last June’s Inside Out which minted $3.7M ($90.4M opening), but the fish film whips the preview nights of Universal/Illumination’s Minions ($6.2M) and Despicable Me 2 ($4.7M). 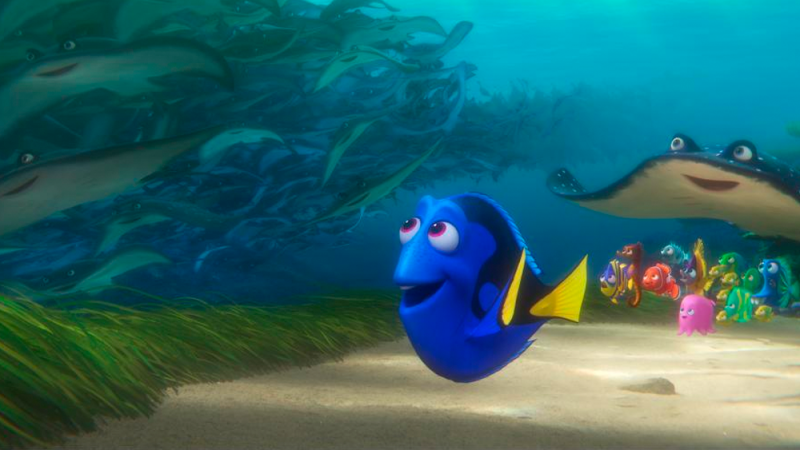 Finding Dory will be the widest Pixar release of all time, playing at 4,305 venues today. Its 3-day take is expected to be at $100M-plus. Dayum. Finding Dory, as Deadline notes, “comes at a much needed time at the summer box office.” Captain America: Civil War is currently the summer’s highest grosser, with $400 million.